Everyone wants to feel welcome, especially when you’re new. But churches can make that extra tough. If a church is too big, then it’s easy to get lost. True, nobody knows everybody. But then … how can you find the folks who are the best match for you? A place, in fact, like Erin Presbyterian Church. We’re big enough to make a difference, but small enough to know your name. Our super-talented (or should we say, “supper-talented”) Dinner Team serve up a great time of food and fellowship to get our Wednesday Night activities off on the right foot. The menu is different every week and includes “just for kids” options. Each month a member hosts a pot-luck dinner in their home. It’s a great chance to meet people and get to know them better, outside the confines of the church building. Choose between daytime or evening monthly gatherings, as your schedule permits. 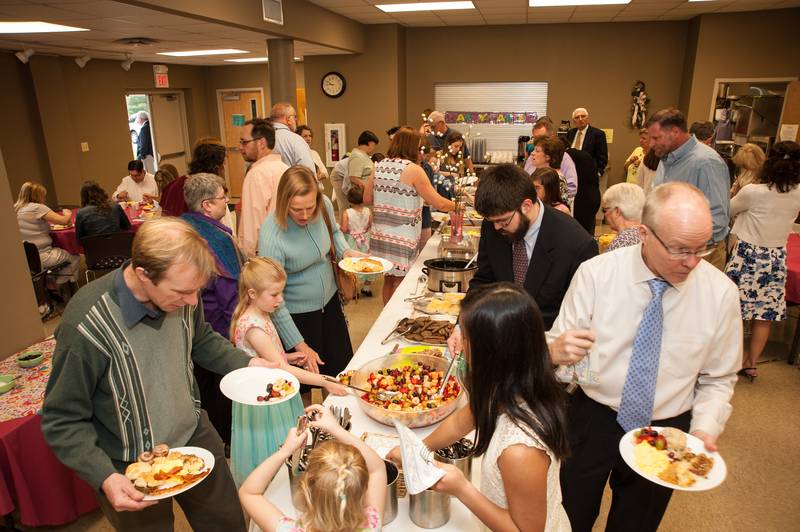 PW get-togethers are famous for their fun, food, fellowship, and study. Interested in finding out more about this? Considering becoming involved yourself? We’d love to connect with you. Simply submit this form and someone from the appropriate ministry team will be in touch with you right away. What can we tell you more about?